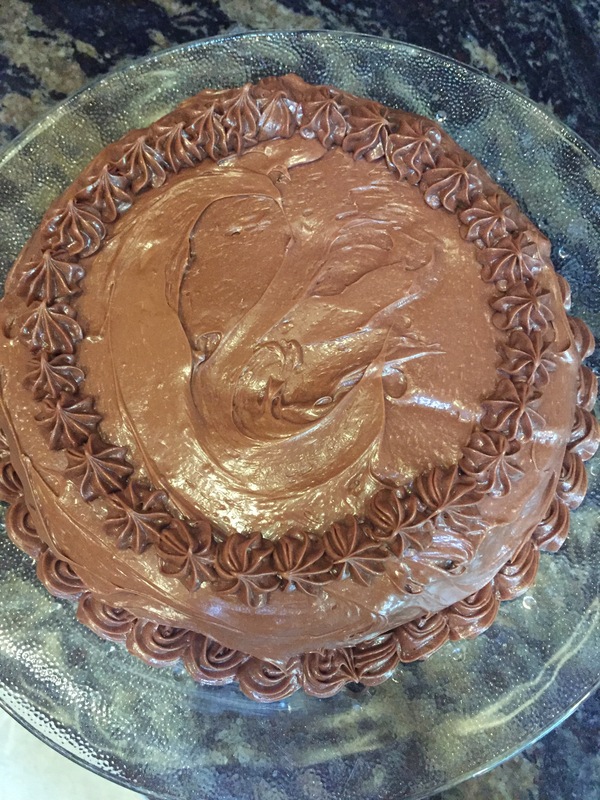 My daughter’s Freshman season of volleyball came to a close on Monday and she asked me to bake her favorite cake for a celebratory snack after their last game. 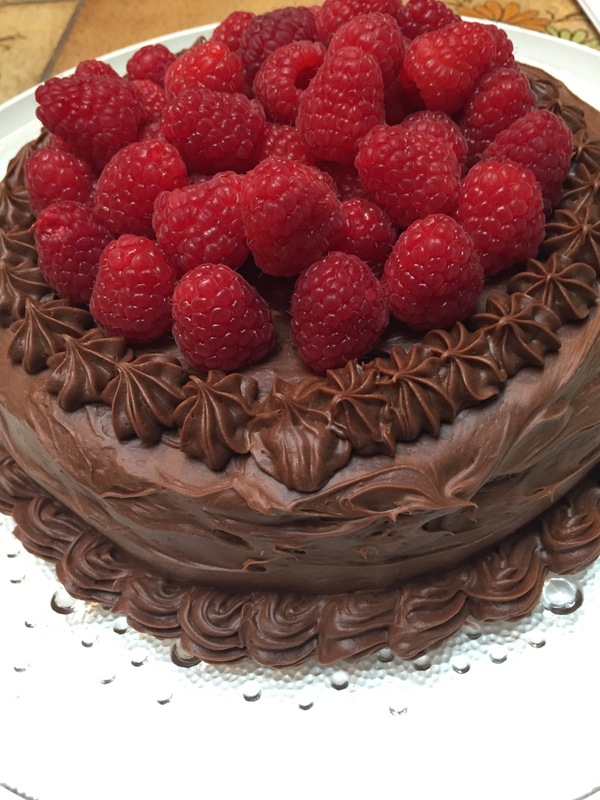 She asked for a chocolate cake with raspberries. This cake is two layers and I tried to do a little shell around the bottom and the top of the cake for added interest and festivity. My daughter also asked for a raspberry filling. So I happily provided that!! 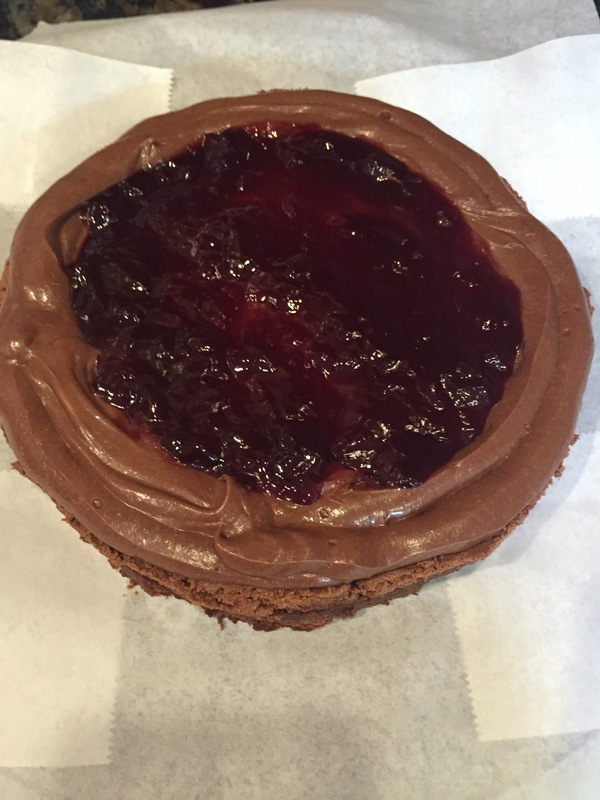 I built up a “wall” of frosting around the top edge of the bottom layer, frosted the top of the bottom layer so the jam wouldn’t make the cake soggy and poured jam onto the cake to the level of the frosting border. Then added the second layer and finished frosting and decorating the cake. 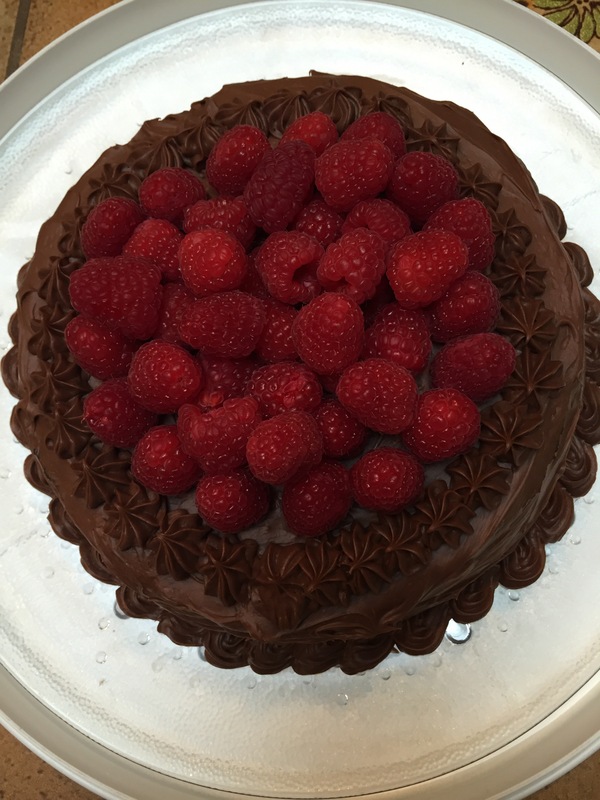 This is the cake before the addition of the raspberries. I waited to add them because they can sometimes “weep” and add unwanted moisture. The side view of this cake. 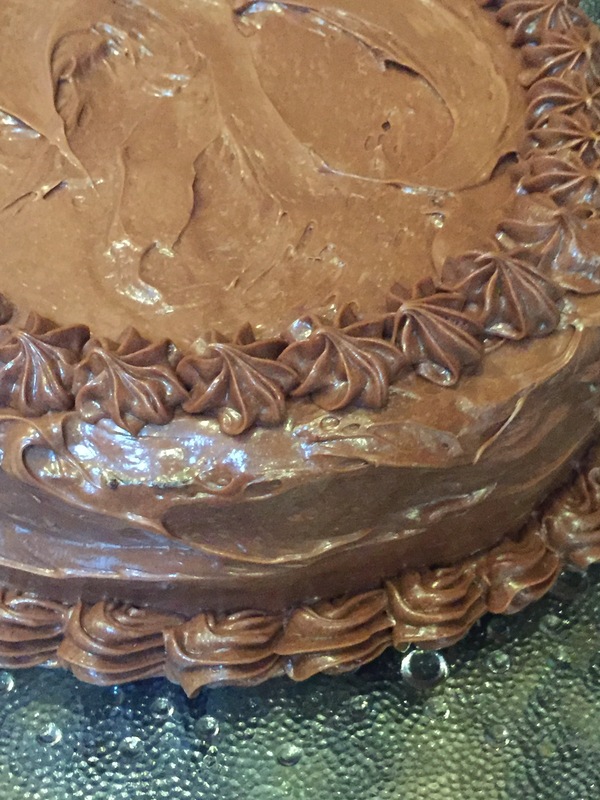 I just now noticed that you can see a bit of cake through the frosting. No worries!! The girls did not notice and this cake was devoured in less than 10 minutes flat! My daughter and her team loved the look and taste of this cake! It was the perfect end of season snack! 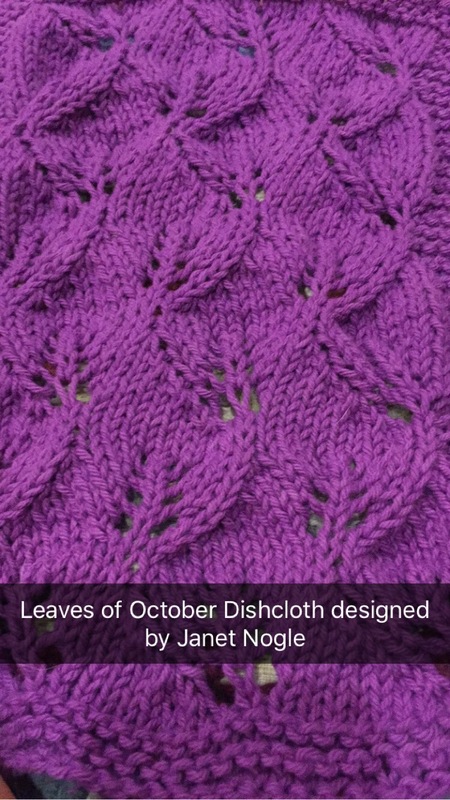 This is the October challenge dishcloth. 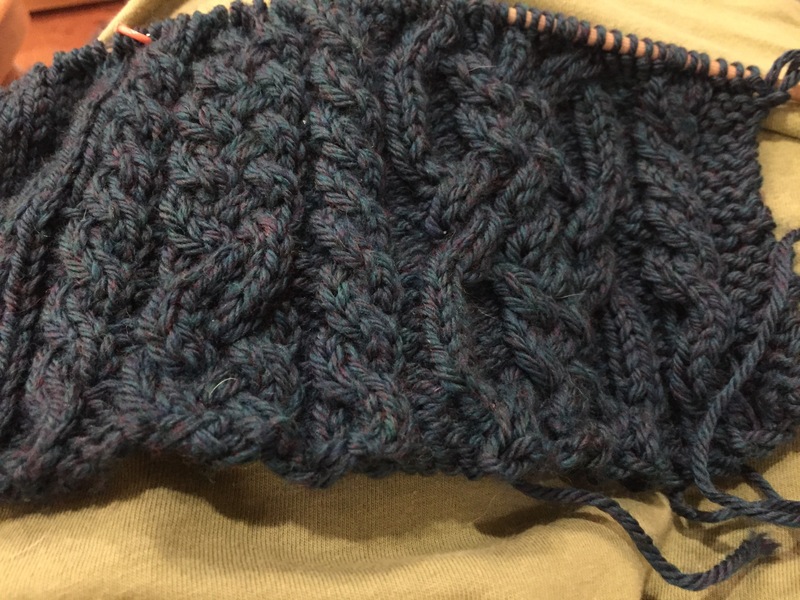 It was super fun and quick to knit. The edges had a tendency to roll so I added a row of sc all around the outside. I am managing to keep up this year with all the dishcloths from the Monthly Dishcloth Yahoo Group!! Yeah Me! I have been working on this birdbath for awhile now. A little bit every once is awhile. 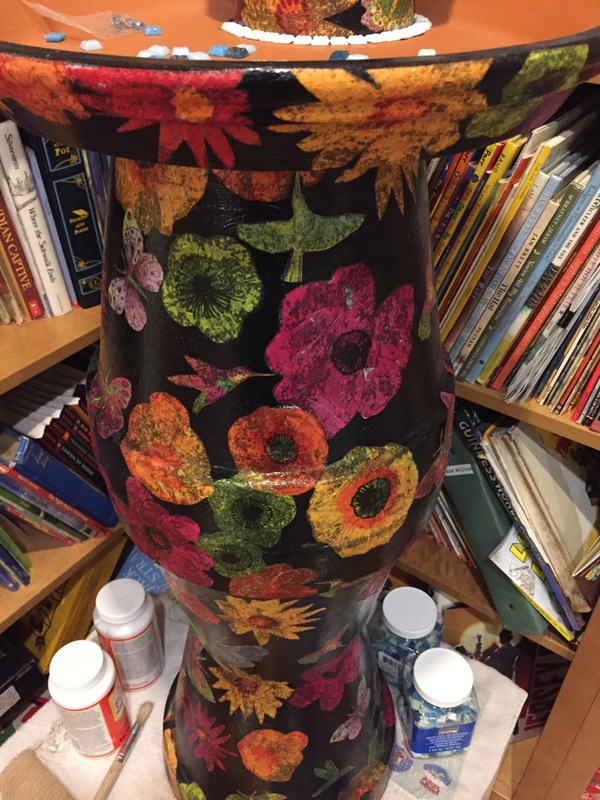 I finally got all the decoupage done. I do really like how the flowers and butterflies and hummingbirds look. 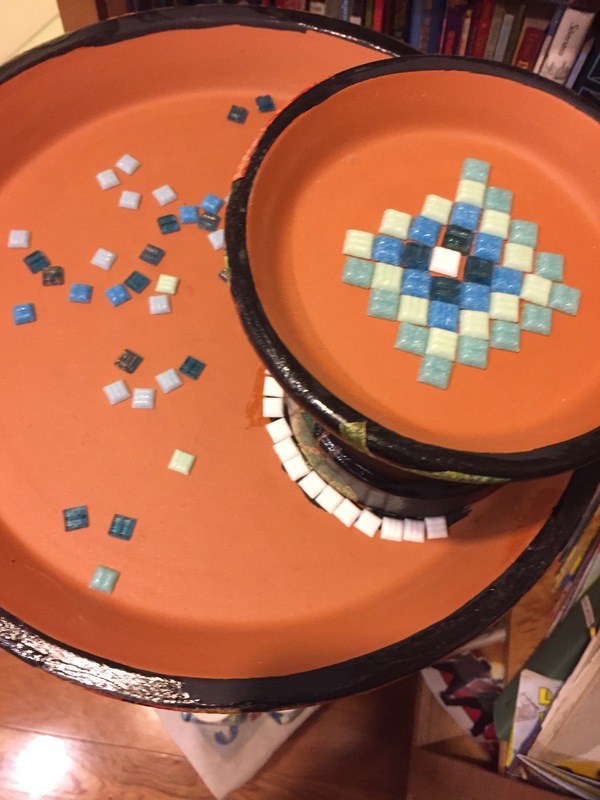 Now I need to work on the mosaic for the bath bowls. All my kids are wanting to design it, I think I might let them! I’m not exactly sure how this happened, but I ordered and started this blanket for dd#3! 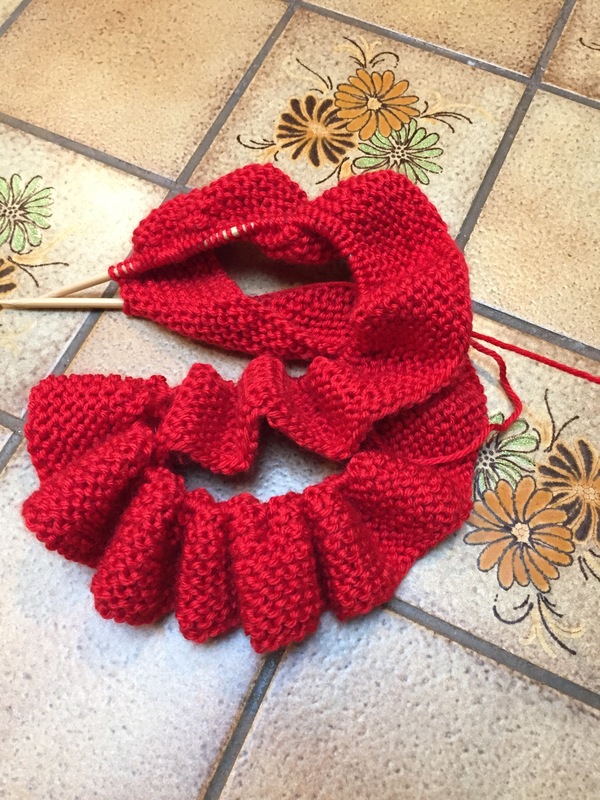 I spent some time today working on my daughter’s sweater. I blogged about this tote bag back on October 5th. Kelly Casanova had led a weave-a-long and I was working on it. I finally finished my tote bag and couldn’t be happier!! I used her youtube videos to make to whole bag (I figured out the handles myself). If you would like to try one yourself, her videos are VERY straight forward and easy to follow. The introduction for this bag can be found here. 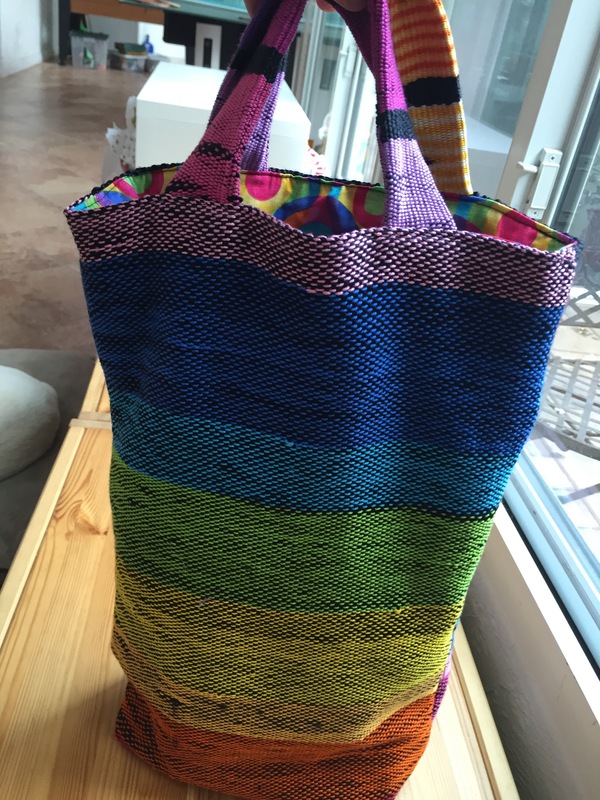 I wove the fabric as one piece using a bag of embroidery threads, only using those that corresponded to the colors of the rainbow. The lining – isn’t it fun?! 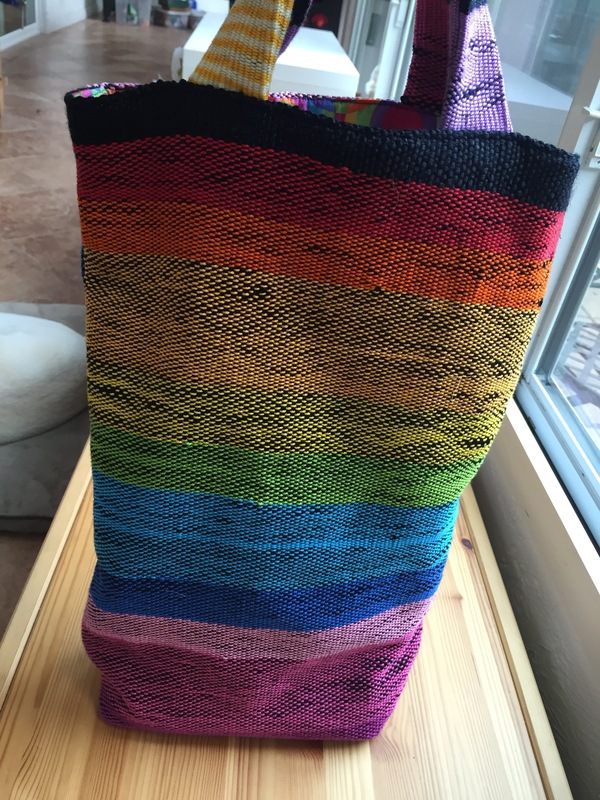 I had this fun rainbow colored fabric in my stash and decided it would be the perfect addition for the lining of this bag. Now I have a new tote bag to carry around my knitting projects!